That’s the message individuals, organizations, policy makers and advocates are sharing this year to commemorate World Suicide Prevention Day (WSPD) on September 10. CMHA Sault Ste. 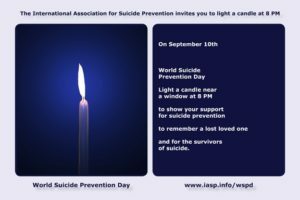 Marie also invites you to light a candle on September 10th to show your support for suicide prevention, to remember a lost loved one, and for the survivors of suicide. For more details please visit the World Suicide Prevention Day website. 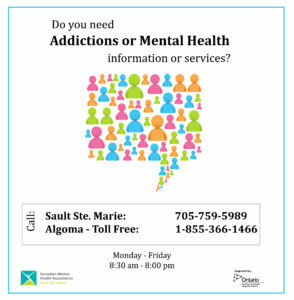 For more information or to learn more about suicide prevention or positive mental health, contact CMHA Sault Ste. Marie at 705-759-5989 or by e-mail at information@cmhassm.com.